Rock music fans in the West Midlands will be losing Planet Rock on FM, as the station moves to digital only distribution and the frequency handed over to sister station Absolute Radio. Bauer Media, owner of Planet Rock and Absolute Radio is making the changes on the 7th September 2015, when the 105.2 FM frequency, broadcast to the West Midlands from the Sutton Coldfield transmitter will be switched to Absolute Radio, giving the national station its second FM outlet after London. It's the second switch in recent years for the West Midlands service. 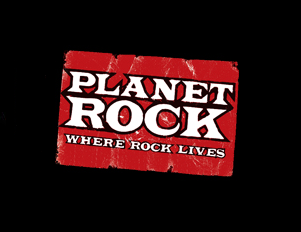 Planet Rock itself replaced Kerrang on 105.2 in 2013. The move proved controversial, because not long after the changes, DAB coverage of Kerrang in the West Midlands was reduced, producing disgruntled listeners outside of the Birmingham area. Kerrang was later dropped completely from DAB in the region. "Don’t worry because this doesn’t mean we are leaving. We’re still here, still rockin’ and still playing the tunes you love. Planet Rock was one of the first digital only radio stations in the UK and over 16 years it has built a strong following of loyal listeners whose passion is rock music." In addition to DAB, Planet Rock is also available on Sky 0110, Freesat 730, Virgin Media 924 as well as online and via mobile apps. The station says it will be launching a new website and app soon.